We made it! We are safe in Anchorage and on our way to Sutton. It is 10:30 pm Madison time and we are enjoying bright sunshine and gorgeous mountains! The trip was long, but smooth and we descended into the most beautiful glaciers that made every minute of travel worth it. Thank you for your love and prayers…we’re so ready to get this adventure under way! 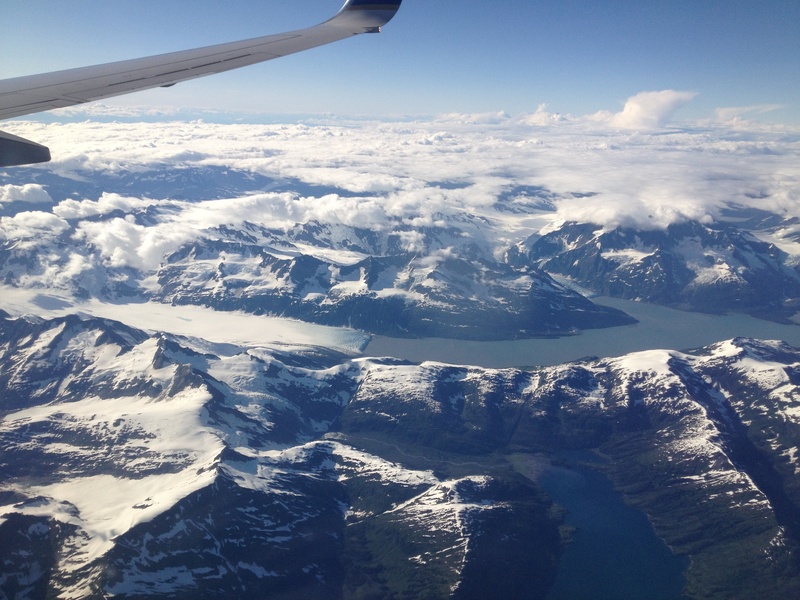 This entry was posted in Uncategorized and tagged #alaskaGOteam, Anchorage, glaciers by blackhawkgoteams. Bookmark the permalink. Thanks for the update! We are praying for a great beginning to your adventures!! Wow, it looks amazing just from your plane windows! I cannot wait to see more photos of both the beautiful landscapes and the awesome team! Glad you made it safe and sound after a long travel day. Looking forward to hearing lots of stories!!! We are so excited to know you made it safely and all the fun is getting started! Work hard, guys! We can’t wait to see more updates and pictures!